Born and raised in Hollywood, Angie always felt that she was destined for something big. Angie has come a long way from her first job at Mann's Chinese Theater popping popcorn. She has worked with children and adults with special needs, and paved her way through corporate America in the capacity of Recruiter and HR Manager for various corporations. Angie obtained a degree in Child Psychology and Masters courses in Conflict Negotiations at Cal State Dominguez Hills, where she met her Prince Charming, who became her happily ever after. Angie found her love in writing children's stories and picture books through the concepts and questions her 3 boys would present, and would entertain them with spontaneous improvised bed time stories. With over 20 children's stories waiting to be discovered, Angie has also written two television pilots, scripts for on-air radio announcements, and a movie script. 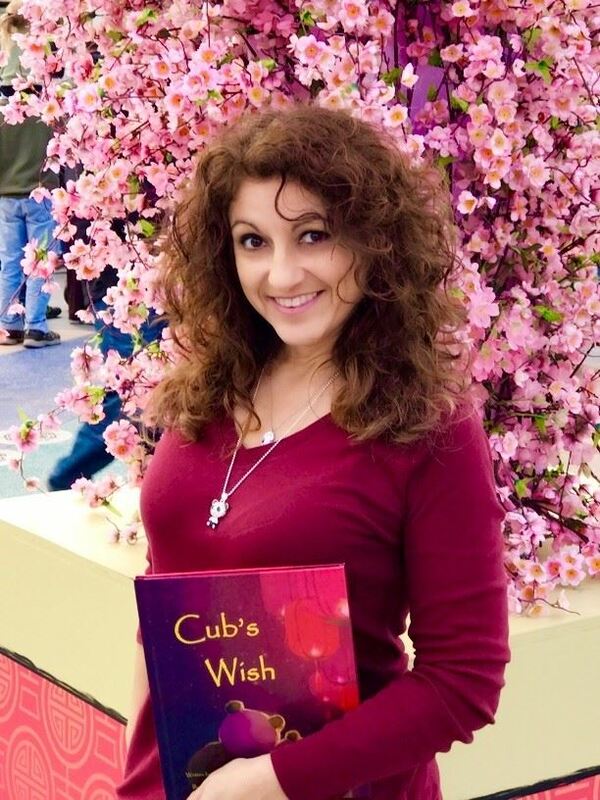 As the Marketing and Fundraising Manager for the Children's Book Writers of Los Angeles, Angie has been able to fine tune her understanding of the industry, and has helped the group in gaining exposure. Angie has also implemented and coordinated several successful fundraisers for various schools while raising awareness in the importance of reading, and other student's needs. Angie has read her stories at elementary schools and talks about making wishes into realities. She has also spoken to middle school writing classes about the journey of an idea- From Start to Story, and finding their motivation for writing. The message she promotes, is that anything is possible, as long as you believe. Traveling, roller skating by the beach, and hanging out with her family are always at the top of her list. With an open heart and mind, Angie is continuing to live each day to its fullest. What is Cub's Wish about? Making the perfect wish is not as easy as it seems. Sometimes we need a little guidance to achieve our dreams. 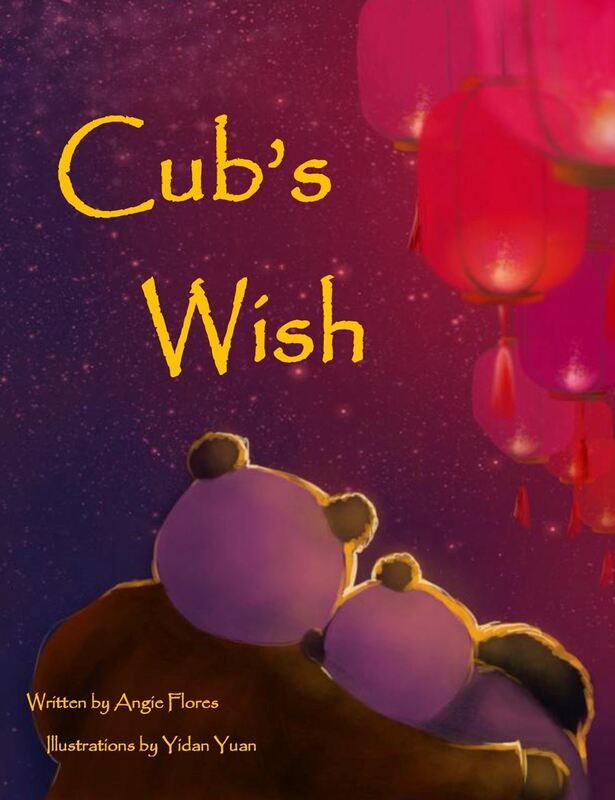 Cub's Wish is a sweet conversation between parent and child about the importance of wishing from the heart. I write for kids because I am one at heart. I love telling stories that make kids smile, think, laugh, and get excited. I want to share my world of imagination with children everywhere and make a positive difference through my story telling. I would not have been able to get as far as I did without the CBW–LA. The workshops, speakers, the yearly kickstart, and especially the members have been a major reason I have been able to proudly publish my first children's book. I would recommend the CBW–LA because there is no other group that I have found that provides both hands-on learning and the opportunity to be a published author through STORY SPROUTS. There is so much information to gain. It is a smart and economical investment for any writer honing their craft. Visit the social media links above, or stop by my website at www.angiefloresbooks.com.